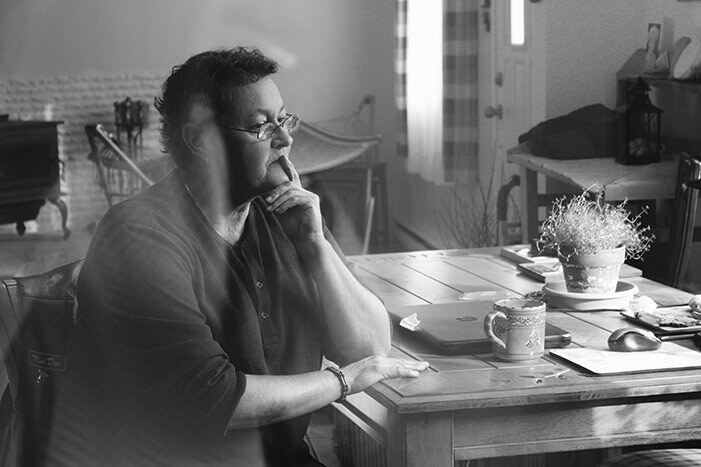 A new documentary shedding light on a dark piece of Canada’s history is screening at the Fredericton Playhouse as part of Fredericton Pride Week. Presented by the University of New Brunswick and Friends of the Fredericton Playhouse, The Fruit Machine focuses on how LGBTQ+ employees were treated by the Canadian government. Between the 1950s and 1990s, the Canadian government conducted a campaign against LGBTQ+ individuals in the civil service, the RCMP and the Canadian Armed Forces. Up until 1992, the CAF policy CFAO 19-20 prohibited gay, lesbian and transgender people from serving their country. Any soldier suspected of homosexuality was subjected to humiliating interrogations and tests. At the time, homosexuality was seen as a character weakness and LGBTQ+ individuals were considered to be a security risk and susceptible to blackmail in order to reveal classified information. Once law enforcement thought they had detected someone gay, that person would be immediately discharged. Thousands of young Canadians lost their careers during this purge. UNB professor and associate dean of arts Dr. Carmen Poulin and UNB Honorary Research Associate and Laurentian University professor Dr. Lynne Gouliquer have researched military policy and how it shaped the lives of LGBTQ+ soldiers and their partners. Dr. Gouliquer is a military veteran and served during the purge campaign carried out against LGBTQ+ soldiers. She experienced its effects firsthand. “You would have friends serving beside you, going through the same training as you, and working with you, and then, one day, they would just disappear and that was the last you saw of them,” said Dr. Gouliquer. The documentary highlights what civil servants, RCMP officers and soldiers faced during that time period. Many lost their jobs, some committed suicide and others managed to go undetected and continued to serve Canada. The “fruit machine” refers to the antiquated device developed by academics, supposedly to screen for homosexuality. It was used for a very short time by the RCMP and Canadian military, but proved to be non-reliable. Before pursuing her PhD, Dr. Gouliquer was in the CAF for 16 years and was one of the few people who kept their position while this policy was in effect. Her experience will be featured in the documentary. “I was fortunate to have kept my position. Like in the documentary, our research focused on discharged soldiers, but also on those who managed not to get caught. Even if you kept your job, the day-to-day discrimination against both LGBTQ+ soldiers and their partners was devastating,” said Dr. Gouliquer. UNB and the Social Sciences and Humanities Research Council both contributed funds toward Dr. Poulin and Dr. Gouliquer’s research on this topic. The documentary will be shown at the Fredericton Playhouse on Aug. 13 at 7 p.m. as part of the city’s Pride Week events. There will be a Q&A session following the screening, including a panel with Dr. Gouliquer where the public will have the opportunity to ask questions. “I am excited that people can learn about this dark piece of history because we must talk about what happened to our LGBTQ community on campus and everywhere across Canada,” says Dr. Gouliquer. “The only way we will not repeat history is to learn about our past mistakes. We as Canadians love to think of ourselves as enlightened, nice people, but we too have made mistakes, which we need to acknowledge and avoid repeating. This documentary helps us learn and speak about our past. I’m proud that UNB is sponsoring part of the event,” says Dr. Poulin.